[Via Satellite 08-05-2014] SkyVision has installed its VPN services for the Bank of Africa (BOA) Burkina Faso, the second largest financial institution in the country. The solution is comprised of a Romantis UHP hub and SkyVision VPN, the company’s VSAT-based communications system. The completed project concludes phase one of a larger communications project with BOA. 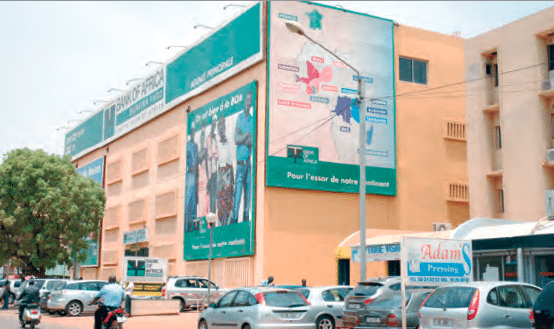 SkyVision connected BOA’s headquarters in Ouagadougou, the capital of Burkina Faso, to branch offices throughout the country. BOA Burkina Faso has a network of 32 branches that employ more than 300 people. The Romantis hub is located at the bank’s headquarters, where it will converge to the BOA branches and operate in a fully autonomous environment. In addition to meeting communication needs, the solution serves as a critical component of the bank’s disaster recovery plan.